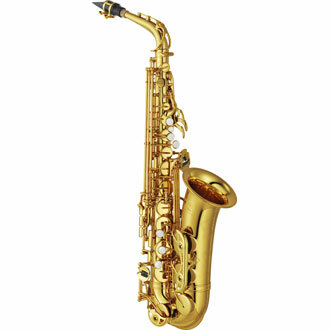 A favorite among band directors for decades, the 62 model saxophones (and their predecessor, the 61) have redefined the market by offering superior quality and durability at an affordable price.. Introduced in 1979, the YAS-62 and YTS-62 saxophones withstand the tests of time and competition and have been in a continual state of improvement since the launch of the YAS-61 in 1969. A slightly narrower bore provides a faster response and greater control. The 62 style neck allows a comfortable flow of air so that every player can attain a solid tonal core. More elaborate engraving with finer detail, the new design offers delicate beauty. An improved mechanism from low B to C# ensures a proper seal for these notes which promotes a clear response throughout the low range of the instrument. Semi-hard case offers a contemporary look and greater ease of transport.